Vice-Chancellor's « Prof. (Dr.) N. J. Pawar | Dr.D.Y.Patil Vidyapeeth, Pune. I am indeed very happy to welcome you to this prestigious Institution, Dr. D. Y. Patil Vidyapeeth, Pune. I know that you all have chosen this Institution of learning with lot of aspirations and hopes. I am sure that by acquiring the knowledge and skills and with positive attitude and values you will certainly make your dreams come true. Education is a lifelong process and just reading books, gathering knowledge alone is not a true education. It is more important to assimilate and put into practice at least a fraction of what one has learnt. Dr. D Y Patil Vidyapeeth, Pune believes in this philosophy and has taken steps forward in that direction to provide quality education for holistic development of the student. Vidyapeeth offers vide range of professional programs for the development of youth in the area of health education. To provide quality education, the Dr. D Y Patil Vidyapeeth, Pune has been established. 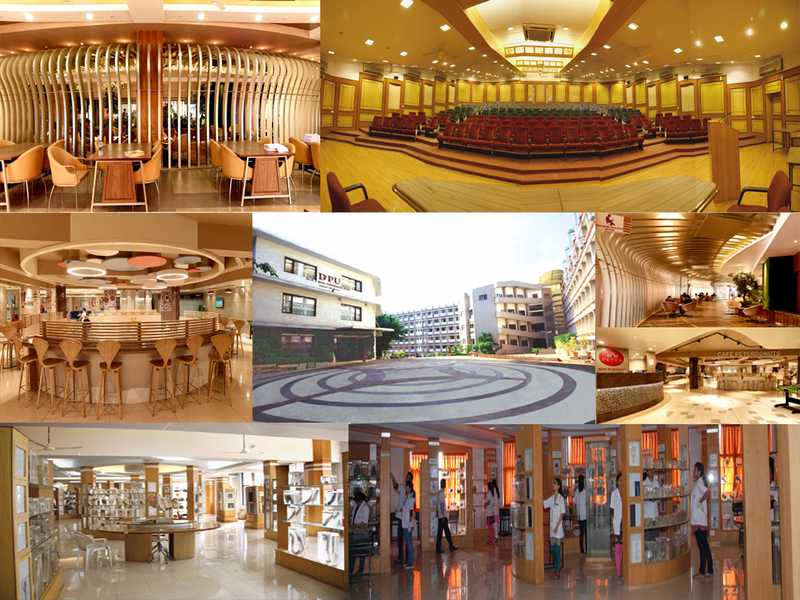 Presently, it comprises of nine constituent units – Dr. D Y Patil Medical College, Hospital & Research Centre, Dr. D Y Patil Dental College & Hospital, Dr. D Y Patil Biotechnology & Bioinformatics Institute, Dr. D Y Patil Institute of Optometry & Visual Sciences, Dr. D Y Patil College of Physiotherapy, Dr. D Y Patil College of Nursing, Dr. D Y Patil Global Business School and Research Centre, Dr. D Y Patil College of Ayurved and Research Centre, Dr. D Y Patil Homeopathic Medical College and Research Centre. The Vidyapeeth provides unique learning opportunities to the students by combining pedagogically sound and comprehensive professional courses for a variety of subjects. It also incorporates innovative teaching and learning methodologies supported by state of the art library resources, focussing on all-round development of the student. The curricula provide market-driven programs and studies, developed, tested and continually improved by the competent faculty based on the feedback from stakeholders. I am sure that as a student; you will learn, grow and cherish your stay here. Dr. D. Y. Patil Vidyapeeth, Pune. Born in June 1957, Professor N. J. Pawar obtained his B.Sc. degree securing First class with Distinction (1974) from Shivaji University, Kolhapur and M.Sc. (Geology) withFirst class in 1980 from the then University of Pune (currently Savitribai Phule Pune University, Pune). He later acquired his Ph.D. degree in Geology in 1985, from the University of Pune. He was recipient of the Young Scientist Award (in 1984) instituted by Indian Science Congress Association for his research work. For post-doctoral research, he received the prestigious British Council Fellowship for two consecutive terms in 1985 and 1987 for carrying out research at University of East Anglia, Norwich, in U.K. Despite hailing from rural based family, Dr. Pawar has risen rapidly in the academic circles through sheer perseverance and patience. He has contributed immensely to the fields of higher education teaching and research,especially in terms of his specializations in hydrogeology and environmental geochemistry. Professor Pawar has worked as a teacher, researcher and academic administrator in a professional career of over 35 years. He was Lecturer in Geology (1986-91), Reader (1991-1999), full time Joint Co-ordinator in the Department of Environmental Science (1993-1999), Professor ofGeology, (2000-2017), Head of the Department of Geology (January 2008-February 2010) at University of Pune before being appointed as a Vice-Chancellor of Shivaji University, Kolhapur (February 2010–February 2015). 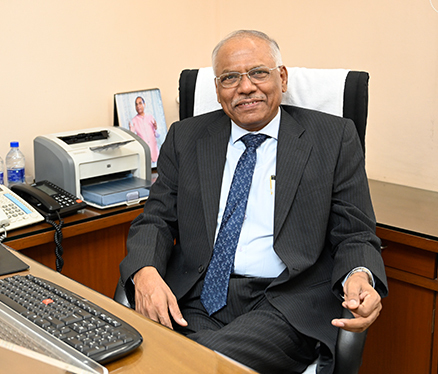 After successful completion of his term as a Vice-Chancellor, he joined back as a Professor in the Department of Geology, Savitribai Phule Pune University, Pune and superannuated in 2017. After his retirement he was working at the Joint Centre for collaborative engagements between Savitribai Phule Pune University and Penn State University, USA for a short period (2017-2018). In May 2018 he joined Dr. D. Y. Patil Vidyapeeth (DPU), Pimpri, Pune as a Director (Academics) and subsequently has been appointed as a Vice-Chancellor of DPU from January 1st, 2019. As a Vice-Chancellor of Shivaji University, Kolhapur Professor Pawar was instrumental in implementing Semester System at undergraduate level and Choice Based Credit System at Post-Graduate level in 2010 and motivated faculty for up gradation in teaching skills and research. During his tenure he established two new academic programmes namely 1] School of Nano Science and Technology (Integrated course of five years) and 2] Yashwantrao Chavan School of Rural Development (similar to IRMA and NIRD) with the support from Government of Maharashtra and 3] Started Interdisciplinary Program in Life Sciences (IPLS) with the financial supports from DBT, Government of India. He also strengthened all old courses in terms of curriculum, infrastructure, resource mobilization, modern methods of teaching–learning (by making MOODLE compulsory to faculty and students) and research by generating financial resources (about 180 cr.) by way of individual research projects from DST, UGC, DBT and others,DST-PURSE program, IPLS-DBT scheme, DST-FIST funds, UGC-SAP, TEQIP (World Bank), SAIF-DST, Lead Botanical Garden and development of campus as Biodiversity Park. During this period eight departments were recognized as DST-FIST and ten as UGC-SAP supported. His efforts to celebrate Golden Jubilee of the University were supported generouslyby the Government of Maharashtra by providing funds (50 cr.) and sanctioning 113 teaching and administrative positions. As a result of this H index of the university rose from 36 in 2010 to 55 in 2015 indicating excellent research output at international level. At national level research ranking of the Shivaji University (on the basis of ‘p’ index) came up to 25th place (http://www.urapceter.org/2011/country.php?ccode=IN&rank=all) and at 28th place infirst NIRF ranking at national level. Further he supported sports activities by developing Synthetic Athletic Track of International Standards, established Space Science studies Centre (at Panhala) and state of art Data Centre in the Shivaji University. Strengthened library by enhancing seating capacity of students (1000) and initiated the ‘Shodhganga ETD’ project through INFLIBNET, completed campus networking under NME-ICT project of MHRD and connected affiliated colleges with National Knowledge Network. Several MOUs were signed at international (25)and national (10) level and strengthened industry-academia program (Lupin, CLRI and Infosys). As a result of all these initiatives, Shivaji University for the first time received “A” grade from NAAC with highest CGPA (3.16) amongst all the universities in the State of Maharashtra at that time. Besides academic administration Professor Pawar has made varied and significant research contributions in the field of Geology in general and Environmental Geology, Geochemistry and Hydrogeology in particular. His important contributions relate to the geochemistry of ground waters from Deccan Volcanic Province with special emphasis on heavy metals, fluoride contamination and arsenic in sediments, kidney stone epidemics and rock-water interaction as a modern way of carbon sequestration and control over global climate change. He has successfully guided the Ph.D. research of 18 Ph.D. students in the Geology and Environmental Science departments, published over 75 research papers, edited 4 research volumes, 2 abstract volumes and translated 2 books on popularization of science besides several popular articles. In recognition of his research work, he was elected as a Fellow of Maharashtra Academy of Sciences; Fellow of the Geological Society of India; Life Member, Association of Hydrologists of India; Executive and Life Member, Gondwana Geological Society; Life Member, Indian Mineralogical Society and Indian Geotechnical Society. Professor Pawar has made important contributions to national level research program launched by Department of Science and Technology, Government of India. He was active researcher in the nationwide scheme on “Science of Shallow Subsurface” developed by DST, Govt. of India. Through this research plan as a Principal Investigator, Dr. Pawar received funds for the Department of Geology for working in Ankaleshwar oil field and industrial area. He was also Coordinator of DRS-SAP scheme of UGC. He has developed collaborative research plan with Osaka City University, Japan on the “design and development of water quality data logger sensor system”, andwas also involved in multi-university international research on “Solving environmental conflicts in coastal areas: global change, human mobility and sustainable urban development” a collaborative project between universities in European Union (8), India (2) and South-East Asia (1). In addition to this he strengthened industry-academia interaction by involving the faculty members in the program of ISRO (Indian Space Research Organisation), ONGC-Energy Centre and Reliance Industries, while working as HOD in Department of Geology, University of Pune. Through these initiatives DrPawar has developed state of the art infrastructure in the Department of Geology. Professor Pawar was largely instrumental in modifying the admission process in Geology by introducing entrance examination and also designed and introduced new one year diploma courses in Geology such as “Geo-environmental Appraisal and Management” and “Geotechnology” both attracting the students from Geology, Environmental Science and Civil Engineering streams. His ideas have helped in inculcating the spirit of competitiveness in the faculty as well as students both at Shivaji University, Kolhapur and Geology Department of S.P. Pune University, Pune. Professor Pawar strongly believes that it is of primeimportance to share knowledge and information with the local communities so that informed choicesand decisions can be made for social good.